Modification of the "Wizard Staff" gives you access to the magic stick, allows you to make magic with the help of tricks. You will be able to walk through walls and protect themselves from damage. This magic item that allows you to create different miracles. 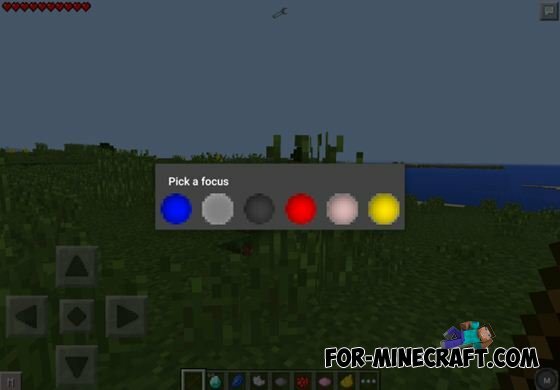 To enable one of the focuses, click on the round button in the lower right corner of the screen and select the color of the correct focus. Each action is reduces the strength of the staff. Let's look at magic tricks and effects of their use. 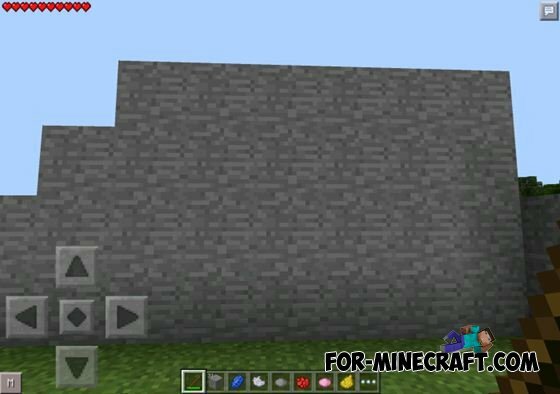 Click on any wall to create a temporary hole in it the size of a 3 x 3 block. The hole will soon disappear, but you will be enough time to go through it. Damage is 6 hearts for each hit. Damage is 10 hearts for each hit. Restores half of the heart for each use. 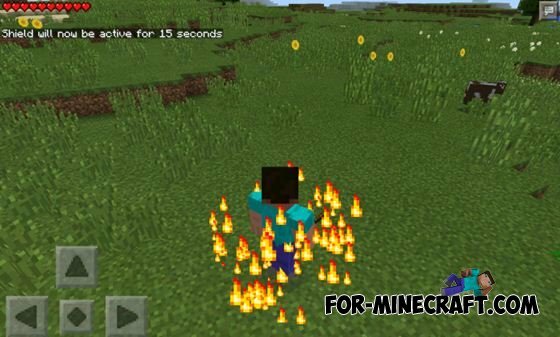 Makes the player invulnerable for a 15 seconds. You can use no more than once every 60 seconds. Unpack the zip-file and move a folder named WizardStaffMod to the directory /storage/sdcard/games/com.mojang/. Open BlockLauncher, import the file with the extension .js and you're ready to play. I love the portal gun mod I want it. You should not only make this a website but a app!.